Paula graduated from the Vlaamse Dance Academy in Belgium in 1989, where she was trained in Ballet, Jazz, Modern Dance and Tap. She has been dancing professionally since the age of 18, performing on European television programs and many authorized stage musicals, including The Fan of Lady Windermere, West Side Story and My Fair Lady, directed by the renowned Filipe La Feria. She has also danced with several dance companies in Greece, Spain and Portugal. 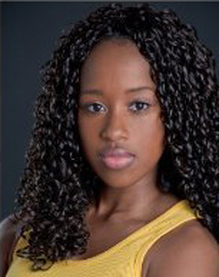 She was chosen to perform for Nelson Mandela in Portugal with the company Oficina de Danca directed by Benvindo Fonseca. Paula taught for 10 years at the San Francisco Jewish Community Center. She also taught Ballet at Belvedere Community center and the Berkeley YMCA for four years before starting her own school. 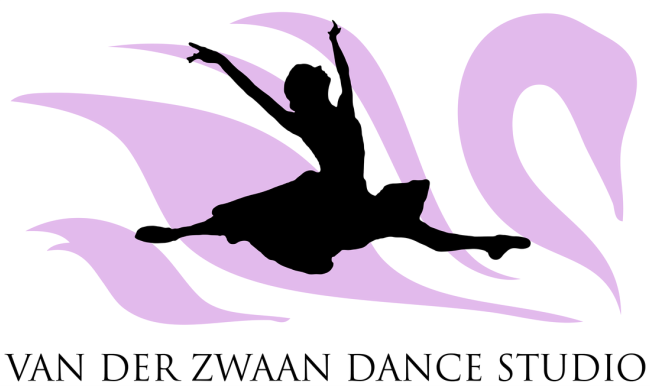 Currently, Paula has over four hundred students under her supervision at the Van Der Zwaan Dance Studio. Santia Andrews graduated from the University of California, Berkeley with a Major in Dance and Performance Studies and a Minor in Theater and Performance Studies. She has been dancing for over 25 years. Santia is an International Dance Champion, a 14-year California State Talent Competition Winner in Ballet, Pointe, Tap, Jazz, Contemporary, Lyrical, Creative, Modern, Hip Hop and Productions. She is also a Showstopper Competition Winner, a Showbiz Competition Winner and a former 3-year member of the University of California Dance Team (cheerleading team). During her junior year at Cal, she was accepted into the Alvin Ailey Summer Intensive Program in New York and was offered a coaching position at National Dance Alliance (NDA) in Los Angeles. In 2000, Santia was selected as a member of Team USA and traveled to the International Dance Competition in Prague, Czech Republic where they won first place in their Jazz routine. Emmeline Gonzalez-Beban discovered her love for dance at the age of four and has since studied a diverse range of dance forms including Contemporary/Modern, Ballet, West African, Ballet Folklórico Mexicano, Tap, and Jazz. In 2010, she was awarded by the National Foundation for Advancement in the Arts as a YoungArts scholar in the World Dance category for Ballet Folklórico (featuring Zapateado from Veracruz, Mexico). She now holds a B.F.A. in Dance from The Ohio State University with a joint focus in Performance and Dance Education. Since relocating back to the Bay Area, she has completed various choreographic residencies through SAFEhouse Arts (SF) and Shawl Anderson Dance Center. In 2015, she established Slick Babble Dance Project, a Contemporary dance company based in the San Francisco Bay Area. She also performs with choreographers such as Liz Boubion, Cherie Hill, and Erica Pinigis.